Tumble down the proverbial rabbit hole in this time-honored classic by Lewis Carroll. Follow Alice, one of literature’s most popular female figures, as she encounters a colorful cast of immortal characters such as the Cheshire Cat, the Queen of Hearts, the March Hare, the Mad Hatter, and more! 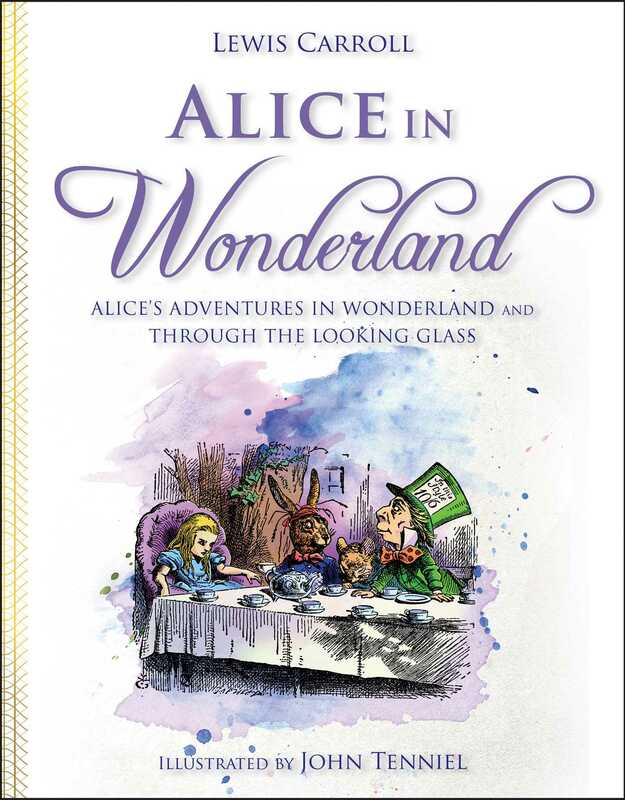 This edition also contains the sequel to Alice’s Adventures in Wonderland, where the heroine again enters wonderland by climbing through a mirror. Once again, she is confronted with a slew of friends and foes and a series of trials and tribulations. Featuring the original illustrations by Golden Age illustrator John Tenniel, this edition is perfect for any bookshelf, whether you’re a voracious reader of fantasy, an avid Alice fan, or a collector of illustrations and stories.